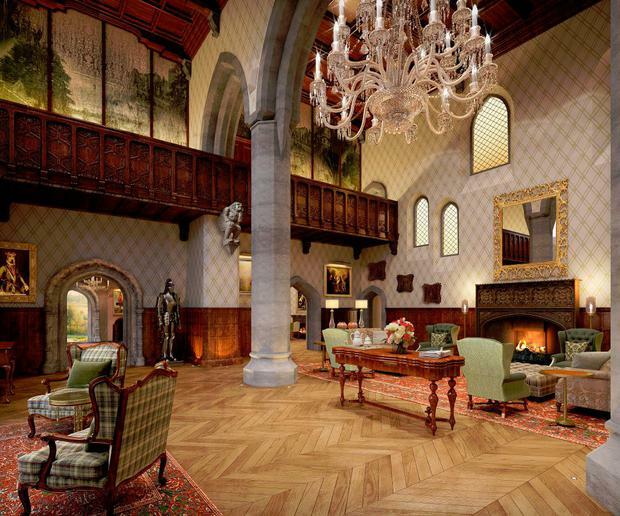 Adare Manor Gallery: Artists' Impression. Adare Manor Great hall: Artists' Impression. 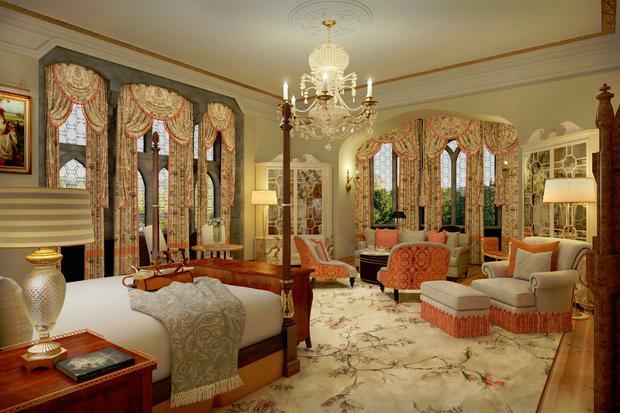 Adare Manor Suite: Artists' Impression. Adare Manor, Co. Limerick, in the winter snow. Adare Manor Hotel & Golf Resort will close its doors today to facilitate its biggest refurbishment in 25 years. The improvement works, subject to planning permission, will include a new 40-bedroom wing and a ballroom with capacity for around 350 patrons. Enhancements in the Manor House will also include a new spa and pool, a cinema and an activity centre including falconry and a children’s activity zone. “This is a new beginning in Adare Manor’s grand history," said GM, Ms. Anita Higgins. "We are taking an intermission before starting a glorious new chapter in 2017." A spokesperson declined to reveal the refurbishment budget. The works will also see the upgrading and restoring of internal finishes, furniture and woodwork, and repairs to external stonework and windows. New designs by architects, Reardon Smith, and interior designers, Richmond, will enhance all guest bedrooms and public areas (see gallery). 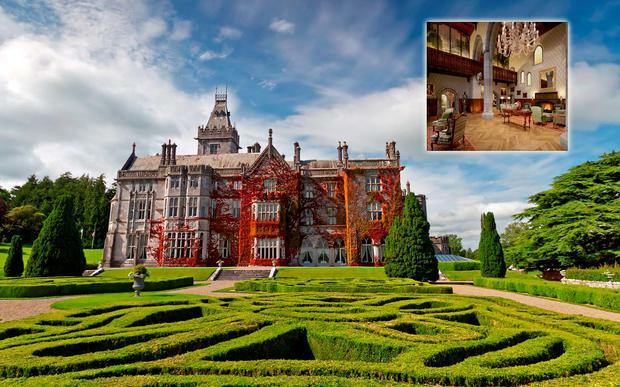 Adare Manor Hotel & Golf Resort is owned by Co. Limerick-born businessman JP McManus, his wife Noreen and the McManus family, who bought the hotel and its 840-acre estate for a reported €30 million in 2015. Celebrity guests have included Bill Clinton, Tiger Woods, Hugh Grant and Michael Douglas and Catherine Zeta Jones, among others. The Limerick five-star is the latest in a line of luxury Irish resorts to undergo expensive refurbishments, following a relatively frugal recession. Kildare's K Club recently unveiled a €20 million refurb including a new Liffey Wing, while Ashford Castle has received an investment of $75 million since it was acquired by the Tollman family for its Red Carnation collection in 2013. Works in Adare will begin in March, with the hotel expanded to 104 bedrooms on its re-opening - currently expected around September 2017. Plans are also in place for a complete transformation of the golf clubhouse, with the aim of creating "one of the finest Parkland courses in Europe", it said.